Students with “Continuous Dining” (Hearty Eater, Square Mealer or Flexible Diner) can use their Student Card at Dewhurst Dining Hall between 7:30am to 11:30pm, 7 days a week, and can eat as much as they wish. Students swipe their card upon entering the dining hall and have access to everything being served, as often as they wish. Access to Dewhurst Dining Hall from 7:30 am to 11:30pm, 7 days a week, for the ‘all you care to eat’ continuous dining experience. 2 guest meal passes per semester for Dewhurst Dining Hall. $72.00 per semester Tax Free Retail Dollars for use at any of the campus dining venues ($144.00/year). 4 guest meal passes per semester for Dewhurst Dining Hall. $108.00 Tax Free Retail Dollars per semester for use at any of the campus dining venues ($216.00/year). 8 guest meal passes per semester for Dewhurst Dining Hall. $295.00 Retail Dollars per semester for use at any of the campus dining venues. ($590.00/year). Only available to residents living in Paterson Hall. This plan is subject to applicable taxes (charged on food purchased). See the weekly menu (PDF). Dewhurst Dining Hall is open to everyone! Whether you are a resident student wishing to bring a guest or an off-campus student wanting an “All you care to eat” buffet meal. The Commuter Meal Plan was created with Off-Campus students in mind. Students will be able to enjoy Dewies 16 hours, five days a week with unlimited swipes during those days. Take advantage of Dewhurst Dining Hall 5 days/week (you choose the days!). 16 hours of access to Dewies, seven days a week. Available to Faculty, Staff, Champlain College students and Bishop’s non-residence students. Print and fill-in the Dining Services Meal Plan Form for students living off-campus. Mail your completed form to the address indicated on the form, or drop it off at Paterson Hall, Monday through Friday, from 8:30 AM to 5:00 PM Eastern Standard Time. I have a continuous dining plan, will I run out of swipes at Dewhurst? The continuous dining plans allow for unlimited swipes at Dewhurst Dining Hall, you will never run out of swipes. What is the difference between Gaiter Dollars, and Dining Dollars? Location on campus. They cannot be used for any other campus service. I want to give input on my on-campus dining experience, who should I contact? Residence Life and Conference Services manages the Campus Dining Committee. The committee meetings are always open, and it’s a great way to provide input. 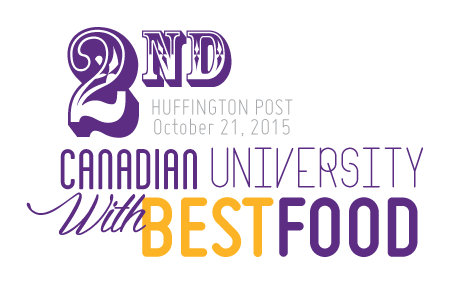 Email campusdining@ubishops.ca for more information. Can anyone buy a meal plan? Any member of the Champlain or the Bishop’s Community can buy a meal plan. Visit Paterson Hall or call ext. 2685. Find out how you can join the Campus Dining Committee.